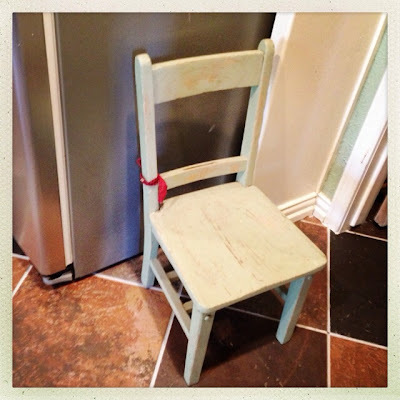 My little relish #1 turned 2 this last September and she is now a frequent visitor to timeout. Her usual timeout location was generally on the soft cozy couch where her toys were still in the room and sometimes I would remember to turn the tv off--I know, I know. 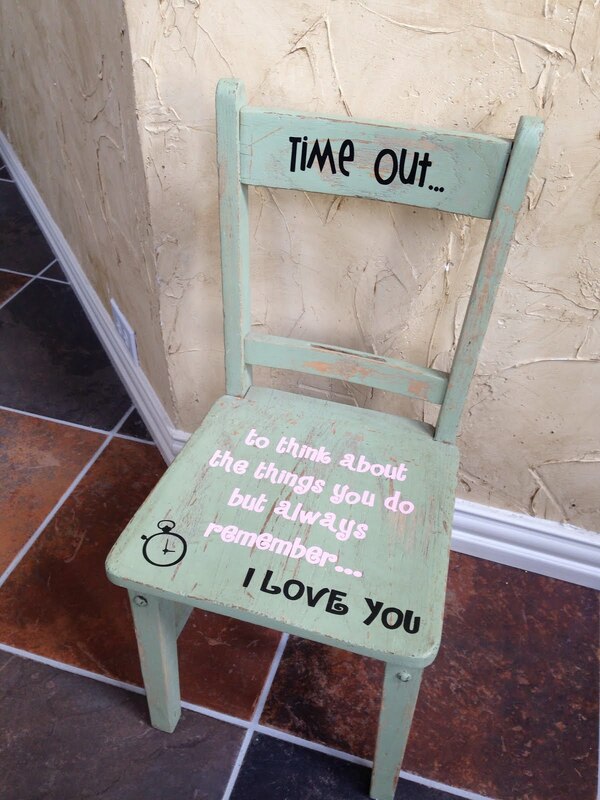 Because this spot was just so exciting, it was no longer a punishment and she was completely [whatever] about it....So in comes the new chair...the official "timeout" chair...that will be located in the most boring part of the house....the formal living room....DUN DUN DUUUNNNNNN! 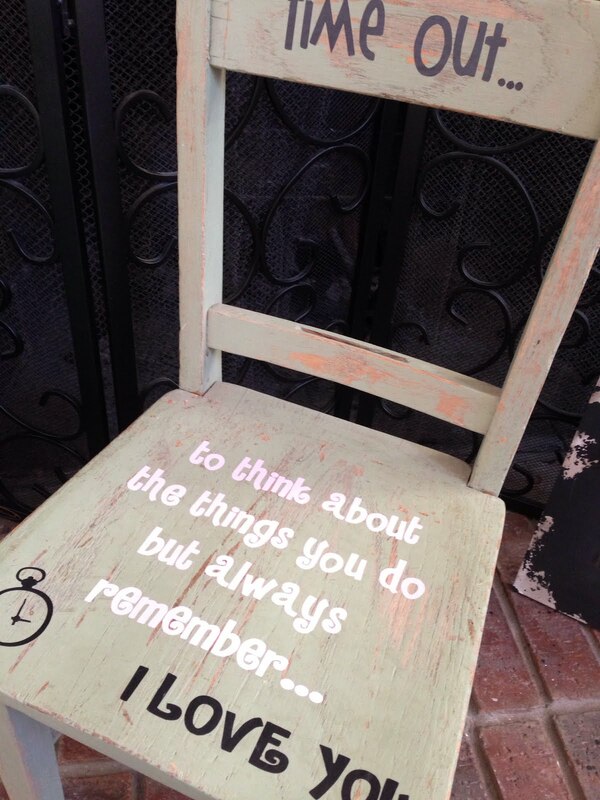 I found an adorable and still very sturdy antique chair that had already been painted to look shabby chic and then got to work making the vinyl in my Silhouette...and voilà! 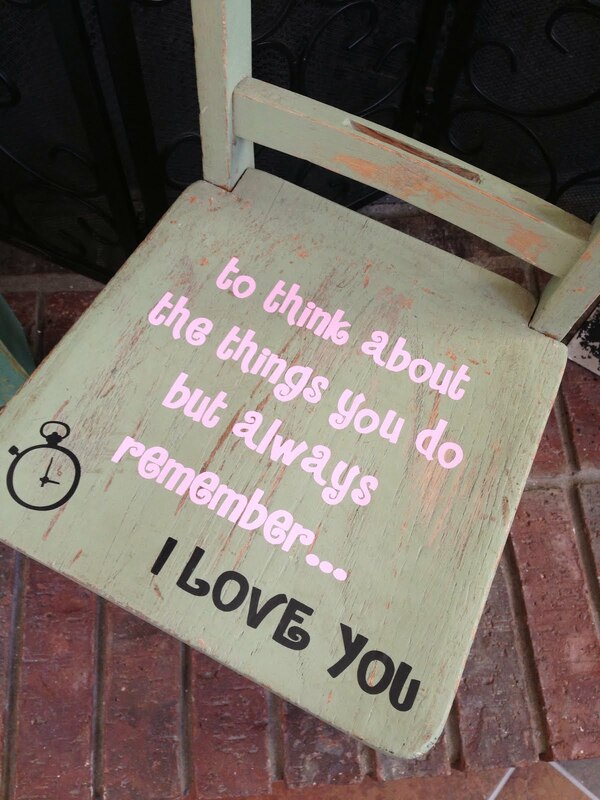 I found the quote during my pinterest "research" and thought it was adorable...just searched "time out chairs". The glare makes it hard to tell, but I used a powdered pink and black for the letters. 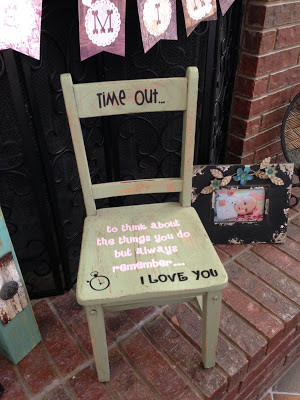 And when I am finished with dishing out timeout, I can just take the vinyl off and still have an adorable kid chair!